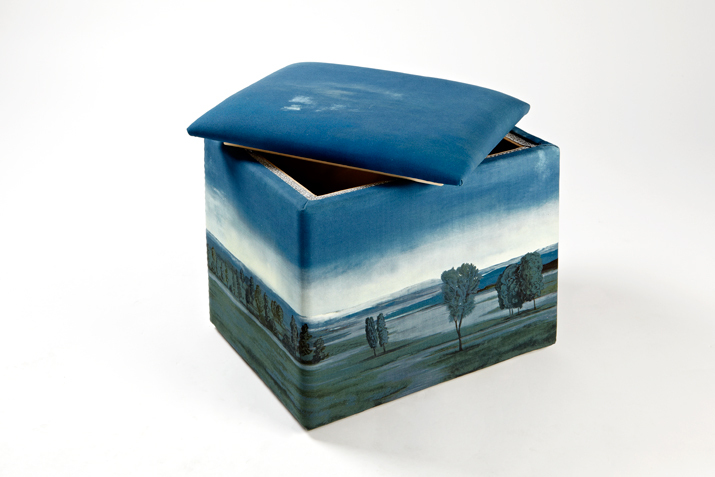 3D Landscape pouffe is a storage seat inspired by the iconography of landscape paintings and frescoes of the 16th Century and by the arcane fascination that vegetation inspires. 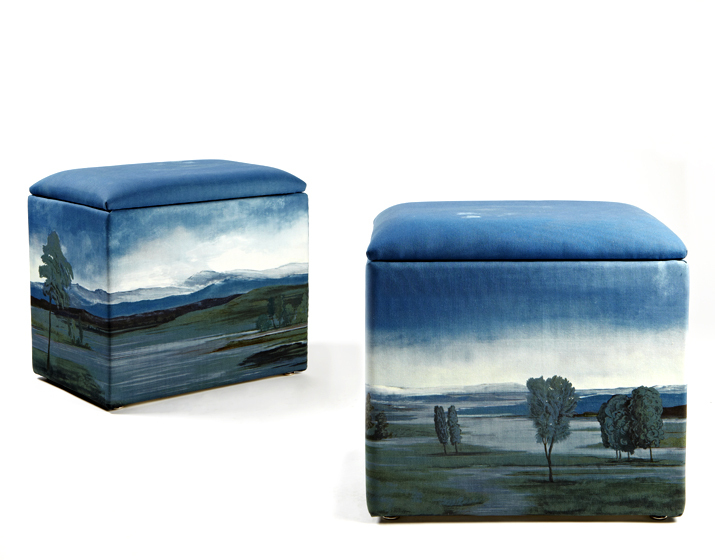 The painted landscape, turning around the pouffe, have a removable cap which represents the sky of an ancient countryside view. 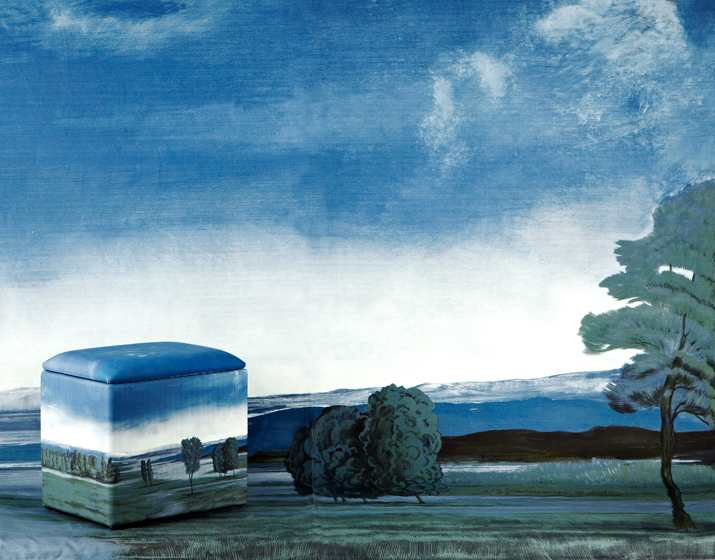 Original painting by Gupica, printed on cotton.